For promoting good values through television and radio, GMA Network’s various programs and specials were honored at the 40th Catholic Mass Media Awards (CMMA) held at Star Theater last Nov. 14. Unang Hirit’s Holy Land Coverage, where Rhea Santos anchored a live coverage from various pilgrim sites in Israel, won the Best Special Event Coverage award. Once again, the country’s most awarded news magazine program Kapuso Mo, Jessica Soho was accorded the Best News Magazine citation. Hosted by GMA News pillar Jessica Soho, it consistently reigns as the most-watched Kapuso program nationwide. Meanwhile, the “Holy Land Coverage”—Unang Hirit’s special coverage of the Lenten season, won the Best Special Event Coverage award. 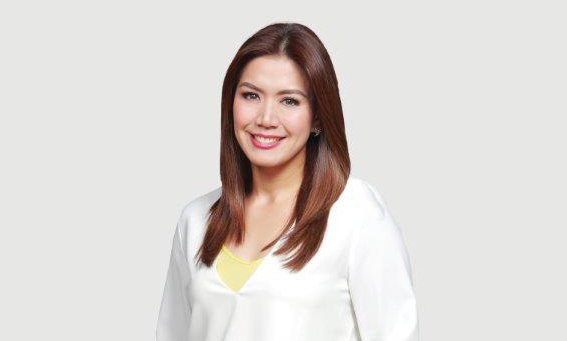 A first for Unang Hirit, the “Holy Land Coverage” featured host Rhea Santos anchoring a live coverage from various pilgrim sites in Israel connected to the passion, death and resurrection of Jesus Christ. GMA News and Public Affairs’ The Atom Araullo Specials was recognized as the Best Adult Educational/Cultural Program, while the Best Children and Youth Program award was given to the top-rating infotainment program Aha! Beating other entries in the Best Comedy Program category is the well-loved comedy anthology Dear Uge bannered by Eugene Domingo. On the other hand, drama anthology Stories for the Soul, hosted by Sen. Manny Pacquiao, received the award for Best Religious Program. Leading local news channel GMA News TV’s flagship newscast State of the Nation with Jessica Soho won the award for Best News Program. Taking home another accolade for GMA News TV is multi-awarded drama anthology program Wagas which took home the Best Drama Series/Program citation. Winning as well was GMA’s flagship AM radio station Super Radyo DZBB’s Dobol A sa Dobol B, hosted by Arnold Clavio and Ali Sotto, which was named as the Best News Commentary. GMA Network’s station ID, “Buong Puso Para sa Kapuso” brought home the award for Best Station ID. Produced by the Network’s Program Support Department as a tribute to its beloved viewers, the station ID highlighted the Network’s colorful history and journey towards becoming the country’s most respected, most trusted, and recognized media network. Rounding off the list of winners was GMA Regional TV’s Balitang Bisdak, which earned a special citation as Best News Program for the comprehensive coverage of the burial of Cebu Archbishop Emeritus Ricardo Cardinal Vidal. The prestigious Catholic Mass Media Awards recognizes students, professionals, and organizations that uphold Christian values among Filipinos through mass communication.